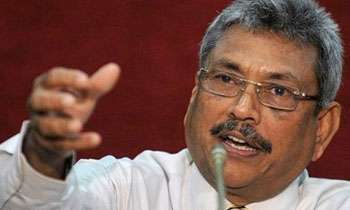 Hinting at contesting the upcoming Presidential Election, former Defence Secretary Gotabaya Rajapaksa said he was ready for the Presidential Election if people were ready too. Addressing a conference of the Viyath Maga Organisation held in Colombo on Saturday, Mr Rajapaksa said the year 2019 would be an important year. “We know a Presidential Election is to be held this year. I’m ready for it if you are ready too,” he said amidst the applause of the Viyath Maga activists. Mr Rajapaksa went on to say that irrespective of social status and other differences, people were of the view that the country should be taken towards a new direction. He said some of the politicians trying to mix nationalism and racism without understanding the difference. “When we develop the country, we should establish and retain the Sri Lankan identity. That’s what people expect,” he said. “Basically, Sinhalese, Muslims, Tamils and Burghers; they are all Sri Lankans. We should establish that identity first. 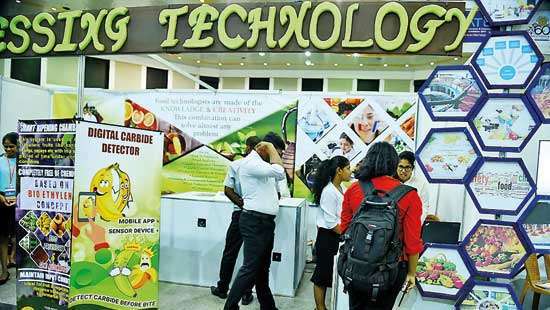 We should go forward as Sri Lankans,” he said. “There is a discussion on a new Constitution. Before a new Constitution is drafted, we should make people aware of the Sri Lankan identity. 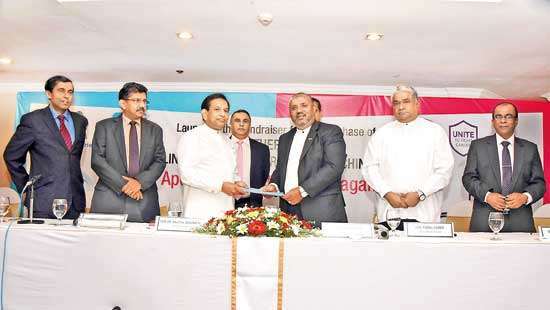 Then, they will understand the importance of staying together as Sri Lankans without divisions,” Mr Rajapaksa said. He said that Sri Lanka should focus more on improving social rights as a whole, such as eradicating poverty, than promoting individual rights. “Today, more than 60% of Sri Lankans are still recognized as poor. Politicians speak about individual rights but as a society, we should speak about poverty and equality. 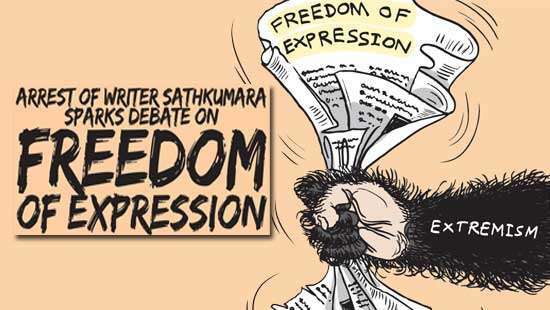 “The Western countries do promote Liberal Democracy which includes individual rights but we Sri Lankans are embedded with the culture, society and traditional values for more than 20 years until the time we are out of our parents’ protection. “After going to University or at later in life, we fight for the rights but we can’t just cut off the cultural and social values we enjoyed for years. @Sharon: We will get the cases of MIG deal, Lasantha and Tajudeen dissolved first. Perhaps too old but, better to be prepared !!! he can run for america n presidential elections. not here. america citizen. We will bring in Trump to run here against Gota. Now Pohotuwa will support the change of constitution. 2/3 majority confirmed. Anne Sir, first clear all your court cases and come as a clean man.Then we think about it. But for a small country like this, there is no need for a President and a Prime Minister as we can't afford these two Power people's expenses. One is enough. If we are to go ahead as Sri Lankans, which we should do, please refrain from registering babies as Tamil, Sinhalese etc. Then there cannot be minority and majority. Also do away with having parties representing only certain ethnic groups and religions. All parties should be National. Please bring these in the new constitution, if such constitution is needed at this stage. Without correcting the fundamentals, we cannot go forward. The Rajapakshas' of Medamulana is fast getting to be a washed out clan so just stay out of it. Anyway, you are no match for Maithri. smartgent, please do not insult famers! US citizen as a sri lankan president? There is a disconnect between his reputation for ruthlessness and the real wisdom he speaks. We Sri Lankans really don't wont a murderer as a president. You never voted RW, SF? We know how you and the clan ruled the country, even if you say you can turn this country in to a gold mine, my vote is not for you. I AM READY IF PEOPLE HAVE COMMON SENSE. those who oppose him being presidential candidate, please tell your choice. White van forces also ready? We are ready and waiting to end Rajapaksa's Political career. People ARE ready Sir. Pls tell your bother to formerly announce your name as such. Just before talk all that crap ,please withdraw ur 'merican citizenship . The only person who can take Sri Lanka out of this mess is GOTA with the help of M.R. We need a strong person at the top.If he contest he will win. He is not stupid to contest with double nationality. When he wins there will be a lot of elected people from different parties who would join him.LONG LIVE SRI LANKA. Yeah, Rajapakse clan are world renowned economists and noblemen! The brutal eliminator of all those who express opposing views. Sorry, we are not ready. May the Triple Gems Bless our next president! Soo funny ... unfortunately sorry we are not ready ..
Gota suffers from brain block. He comes up with different notions at different times. He has amnesia about the murders, the white van kidnaping and the massive bribery - all of which he was instrumental.